Twitter is one of the best social networks around. Ever since its launch in 2006, its popularity has skyrocketed making the company one of the most coveted social media endeavors. Everyone from celebrities to big brands use Twitter to make their presence felt among the Twitterati. Not only that, Twitter has also been an integral part of the Arab Spring in early 2011 making it an important journalistic tool and a modern medium for the vox populi. Users can also keep track of the latest news that can be a part of the Twitter trends. One of the best things that make this social networking service so popular is that it can be accessed using desktop computer, mobile apps, and even through SMS. 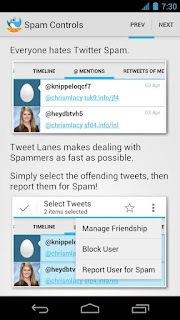 On mobile, Android users can download a few Twitter applications and start tweeting right away. 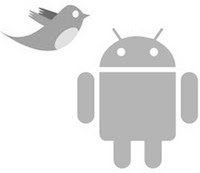 So, if you are looking for the best apps in this category, read on as we cover the top Twitter apps for Android. Though there are a plethora of Twitter apps out there, the official app is ranked as one of the best. Once installed, you can view your stream, update your tweets, reply to other tweeters, and of course share your favorite tweets by retweeting them. The official app also lets you view images inline thus removing the need for any external application. You can also stay in touch with the latest trends so that you can get all the breaking news even while you’re on the move. Overall, this should be your first choice if you are a casual Twitter user who uses the site for sharing thoughts and posting photos. TweetDeck is a powerful application that lets you browse and update not only Twitter but also services like Facebook and Foursquare. The best part about it is that it provides a nice interface along with some powerful features that social media addicts swear by. TweetDeck syncs seamlessly with the desktop application thus making it easier to transition between two or three different devices. Also, since TweetDeck is a part of Twitter now, expect it to grow as soon as Twitter starts focusing on its other products. 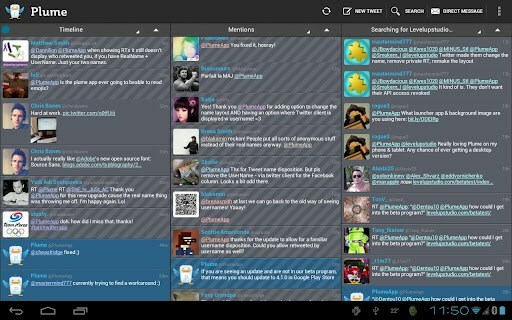 Plume is a beautifully designed Twitter app for Android. 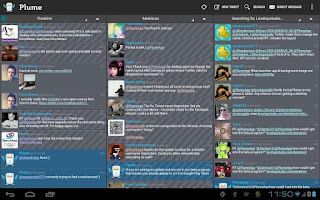 With features like multiple accounts, scrollable widgets, photo-sharing integration, and more, Plume stands out as one of the best Twitter applications for this platform. It’s not just the sheer number of features that make this app so awesome, it’s also the customizable design that helps it stand apart from the crowd. 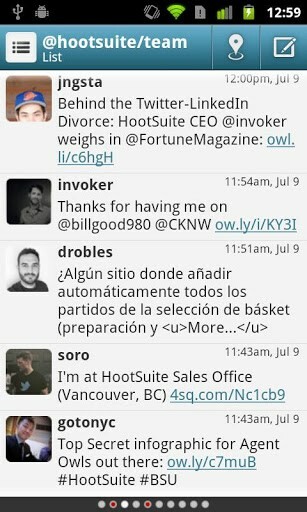 Hootsuite is another great app for power users. 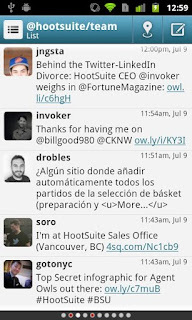 If you’re a social media pro, then there is no other app that competes with Hootsuite. The free application lets you use multiple Twitter as well as Facebook accounts and then track your social engagement using the web interface. 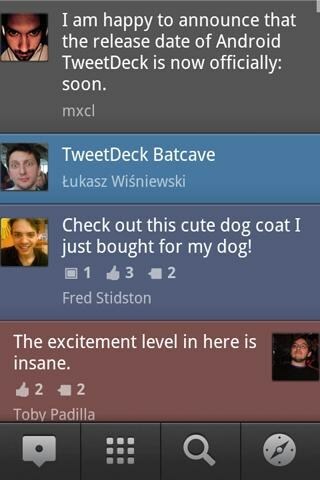 Though casual Tweeters won’t like this app very much, social media experts have deemed it as one of the best in the business. 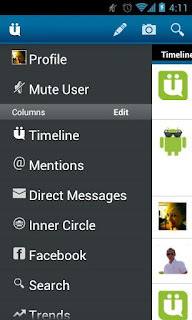 UberSocial is a popular Twitter application for Android. Having been around for a long time, it’s quite stable and mature. Rated as one of the most popular Twitter apps ever, the app is a powerhouse of interesting features that make tweeting even more fun. 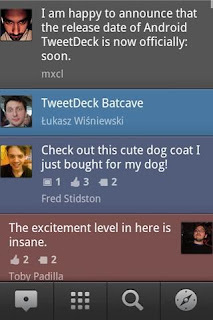 Also, UberSocial comes with themes, shake-to-refresh, inline video and image preview, multiple accounts, and more. 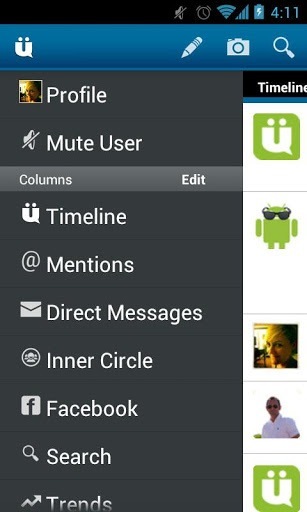 Rated 4.1 out of 5 stars, UberSocial is freely available for download from the Play Store. As compared to other apps on the list, this one is relatively new. That, however, does not make it any less awesome. In fact, as far as design is concerned, this app really blows your mind. 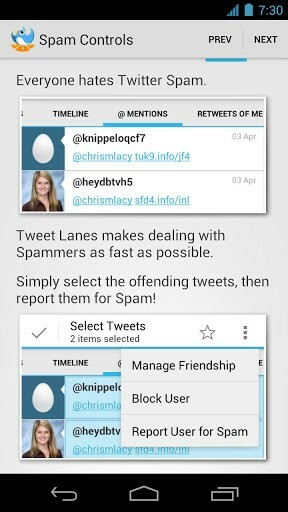 Fitting perfectly with Android’s modern Holo theme, Tweet Lanes lets you have the best Twitter experience ICS-style. One interesting feature about this free app is that it lets you scroll your timeline using the volume control on your phone. Cool huh? That's it? 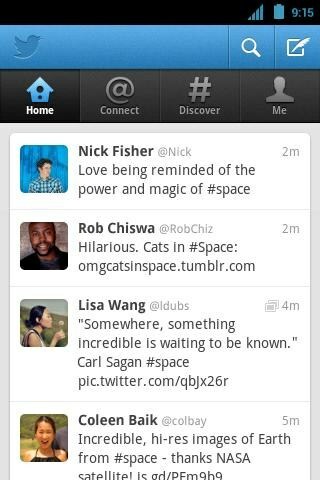 No Tweetbot-like app?